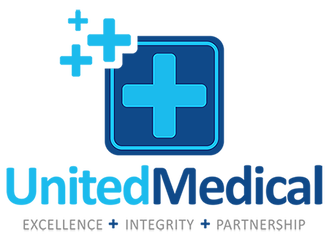 United Medical is a Bristol-based locum agency set up by clinicians. We recruit and place doctors (psychiatrists and GPs), nurses (RMNs and RGNs), HCAs and ODPs in NHS and private healthcare settings. As clinicians ourselves, we understand the challenges faced by both our clients and by clinical staff on the frontline. Our Medical Director is a Bristol-based doctor with a background in medical anthropology and international public health. Our Medical Lead is a psychiatrist with experience of medical education. Our Clinical Operations Director is a Senior Nurse Manager, and our Compliance Lead is a mental health nurse. We are fair. We are highly motivated to develop sustainable partnerships with our clients in order to help them achieve cost-effective workforce solutions, while at the same time supporting and fairly remunerating our locum doctors and nurses. Our model is based on a unique rate structure that is simple and transparent. We are passionate about clinical excellence and aim to recruit highly competent professionals who place quality of care at the heart of their patient interactions and relationships. We follow NHS Employment Check Standards rigorously to ensure that all staff meet the levels of compliance expected by our clients. We aim to be responsive to the specific needs and aspirations both of the individuals who work with us and the clients whom we supply.